The Restorative Care Program is a time-limited program designed for complex care patients who require some additional hospital care. We provide low intensity, longer stay treatment and rehabilitation therapy to patients with multiple medical and/or functionally complex conditions. In collaboration with the patient and their family, the goal of the team is to improve the health and quality of life of the patient, and assist the patient to meet specific goals to transition back into the community. Patients will have set goals that can be reached within an average length of stay of 60 days. When a patient has met their goals or reached a natural stopping point, the patient will be discharged home or to a retirement home. We provide low intensity, longer stay treatment and rehabilitation therapy to patients with multiple medical and/or functionally complex conditions. 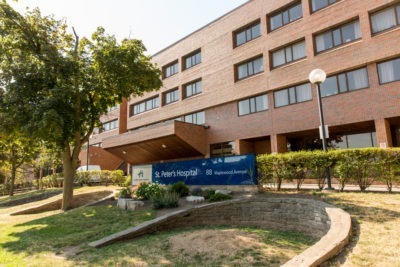 A member of the Healthcare Team from a referring facility or the community will complete the application form, the “Hamilton Niagara Haldimand Brant (HNHB) LHIN Acute Care to Rehab and Complex Continuing Care (CCC) Referral. The “Letter of Understanding about Complex Care” must also be completed. Completed hospital applications are faxed to the hospital-based LHIN Office (previous CCAC), and community applications are faxed to LHIN Placement Services, fax number 905-574-2402. Members of the Restorative Care Team will review the referral and accept or decline the patient. Patients who are accepted will be added to the wait list to be admitted when a bed becomes available. Depending on the length of time waiting, patients who have not demonstrated progress or patients whose condition has declined may no longer be appropriate for a Restorative Care bed.